New Joy rings & Altar Tiles in at the Shop!!!! 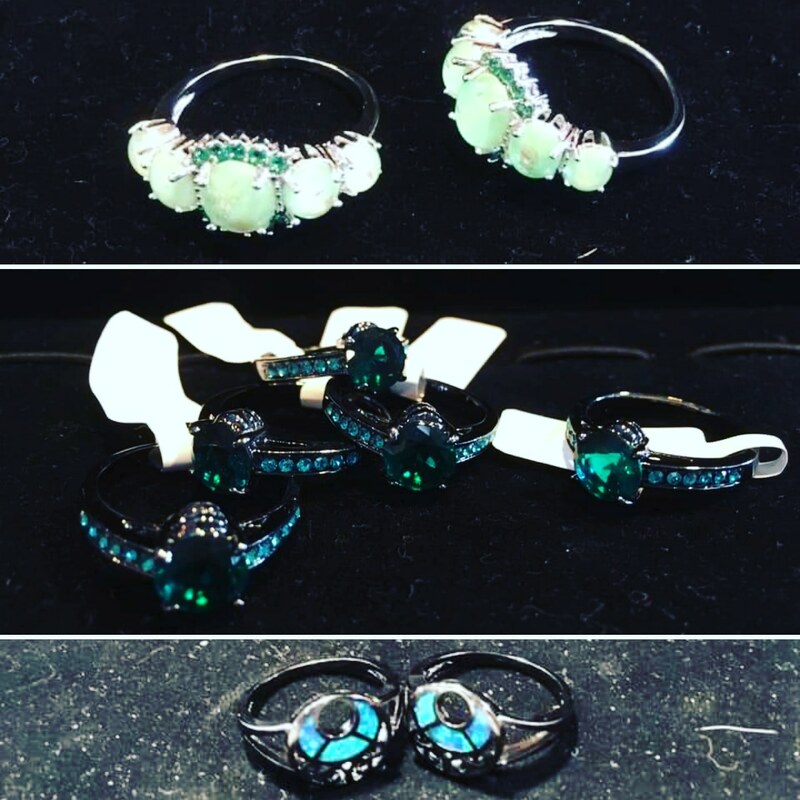 New #joy rings are in at #desmoinesnewageshop !!! We have Heart chakra #dragonsbreathopal , Throat chakra teal CZ & black steel, and lab created #blueopal in black steel with a #moon inspired design!!!! New #inhousemade Altar tiles are in at #desmoinesnewageshop !!! 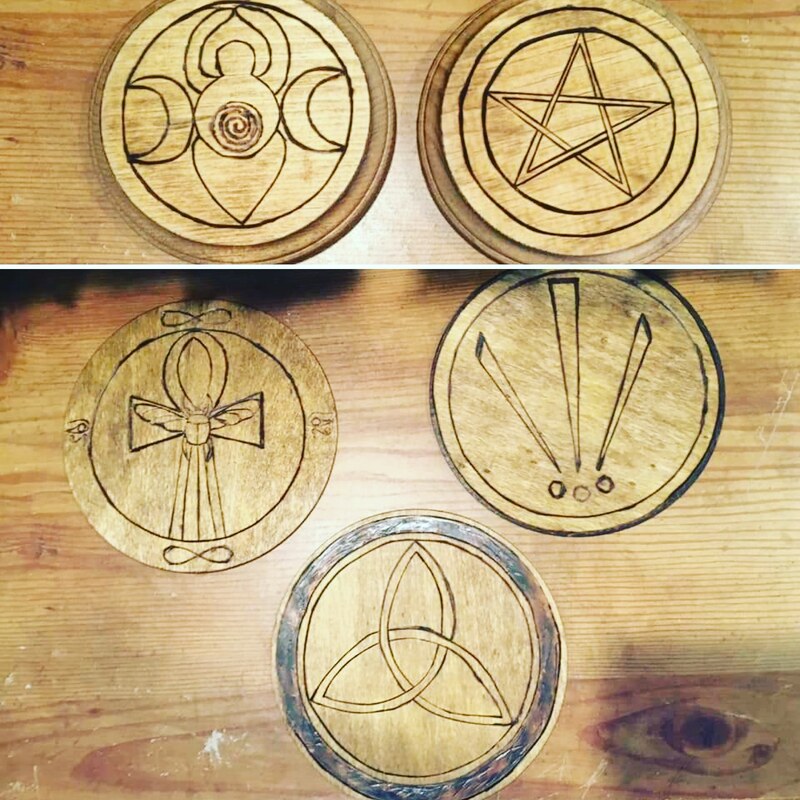 These are sketched, pyrographed(woodburned), varnished in house by hand. *We can make just about ANY design, so if you have a custom idea…just let us know !!! Previous PostPrevious Singing bowls, Showersalts, Lavender brushed Sage, Chakra Crystal kits all came in at the Shop!! !